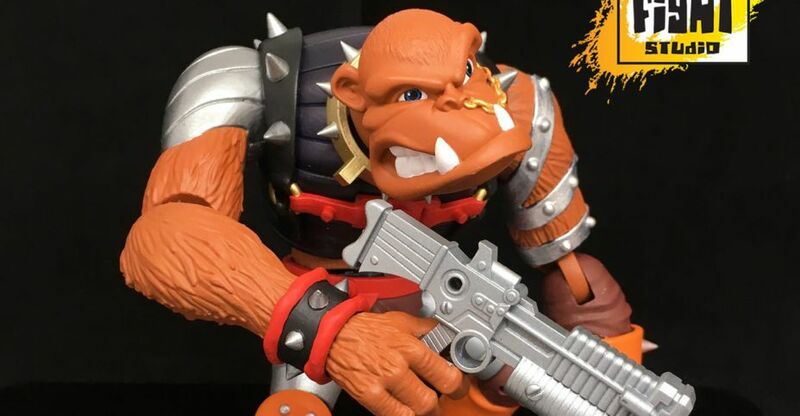 The Boss Fight Studio 3.75″ Figure display at Toy Fair 2019 had a few new figure debuts, as well as our first look at their next series. 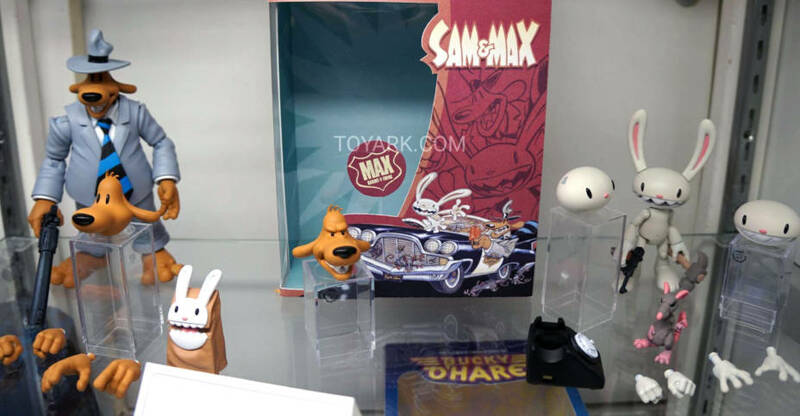 Updates include Sam & Max, Bucky O’Hare, their new Zombie Figures, the Steeds, their young girls line called “I Am Brilliance”, & more. › Companies: Boss Fight Studio › Characters: Sam, Storm Toad Trooper, Max, Bruiser, Mimi LaFloo... › Scale: 6 Inch, 3.75 Inch, 4 Inch › Sub-Line: Vitruvian H.A.C.K.S. Boss Fight Studio has just released new photos and info for their upcoming Bruiser The Betelgeusian Berseker Baboon. The figure is part of their excellent Bucky O’Hare 4″ Figure line. Bruiser will be the largest figure released so far in the line. Pre-orders kick off this Friday! Bruiser includes swap out portraits, hands, a blaster, and a banana. Check out the details below, and see the new pics by clicking the headline of the story. New for your Bucky O’Hare collection! One of S.P.A.C.E.’s strongest weapons in the fight against the evil Toad Empire is BRUISER THE BETELGUSIAN BERSERKER BABOON! Continue to build out Bucky’s Righteous Indignation crew with this massive and fully posable denizen of The Aniverse. Pre-orders start Friday 1/4/19 at 9PM EST. on bossfightshop.com! This figure comes packaged in a window-box with Bruiser artwork and bio. Includes alternate head, left and right alternate hands, blaster and banana! This is a Pre-order item and will be available to ship in the 4th quarter of 2019. These figures are adult collectibles for Ages 15 and up. 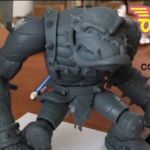 Back in September, Boss Fight Studio revealed the next character for their ongoing Bucky O’Hare 4″ Figure line. The artwork showed Bruiser The Betelgeusian Berseker Baboon. Today they shared the first look at the prototype fogr the figure, with pre-orders listed as “Coming Soon”. Bruiser will include interchangeable heads, swap out hands, a banana, and a blaster. We will update with more details as they become available. Click the thumbnail for the full preview image. 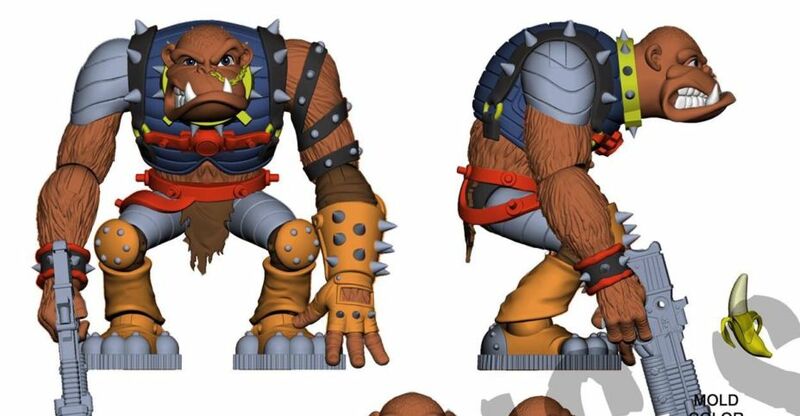 Boss Fight Studio has revealed the next character they will tackle in their excellent Bucky O’Hare 4″ Figure line. They have released artwork showing Bruiser The Betelgeusian Berseker Baboon. The figure will include interchangeable heads, swap out hands, a banana, and a blaster. They will reveal more details in the near future. For now, click the banner image to check out the full size preview.